MANILA (PNA) -- Four international helicopter manufacturers have participated in the pre-bid conference of the Dept. of National Defense's attack helicopter program. These firms are the Boeing Company, Eurocopter Group,AgustaWestland NV and MD Helicopters, Inc.
All four aerospace companies have acquired the required bidding documents. The Boeing Company is an American multinational aerospace and defense corporation. Founded in 1916 by William E. Boeing in Seattle, Washington, the company has expanded over the years, and merged with McDonnell Douglas in 1997. Boeing moved its corporate headquarters from Seattle to Chicago, Illinois, in 2001. It is made up of multiple business units, which are Boeing Commercial Airplanes; Boeing Defense, Space & Security (BDS); Engineering, Operations & Technology; Boeing Capital; and Boeing Shared Services Group. The Eurocopter Group is a global helicopter manufacturing and support company. Its head office is on the property of Marseille-Provence International Airport in Marignane, France, near Marseille. Eurocopter's main facilities are at its headquarters in Marignane, France at Eurocopter Deutschland GmbH in Donauwörth, Germany and at Eurocopter España in Albacete, Spain. While AgustaWestland NV is a British-Italian multinational helicopter design and manufacturing company, and a wholly owned subsidiary of Finmeccanica. 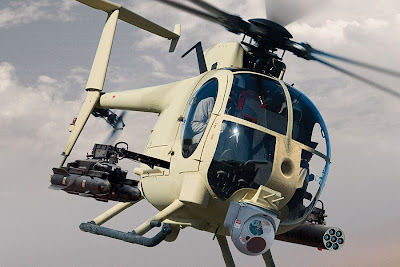 It was formed in July 2000 when Finmeccanica and GKN merged their respective helicopter subsidiaries (Agusta and Westland Helicopters) to form AgustaWestland, with each holding a 50 percent share. Finmeccanica acquired GKN's stake in AgustaWestland in 2004. MD Helicopters, Inc. is an American aerospace company that produces helicopters primarily for military/civil aviation use. Coverage here includes the company's tenure as McDonnell Douglas Helicopter Systems, a subsidiary of McDonnell Douglas. The DND attack helicopter program has a budget of P3,441,460,000 and will be sourced from the General Appropriations Act and the AFP Modernization Act Trust Fund of 2000. The helicopters must have full night operation capability and complete weapon systems aside from integrated logistics support package. "These helicopters shall be capable of performing close air support during day and night, and navigate safely during inadvertent instrument meteorological condition. Furthermore, they shall be equipped with armaments and avionics system highly suitable for said flying operation conditions. The guiding principles for this project shall be based on affordability and sustainability while conforming to the requirements of our Air Force in furtherance of accomplishing its mission," documents obtained by the PNA disclosed. "Delivery of the goods is required within a period of 540 calendar days from the opening of the letter of credit. Bidders should have completed, within 10 years from the date of submission and receipt of bids, a contract similar to the project," the documents stated.